This weekend was the last big signing weekend for this year. It kicked off with the Buckeye Book Fair which was pretty amazing as usual. 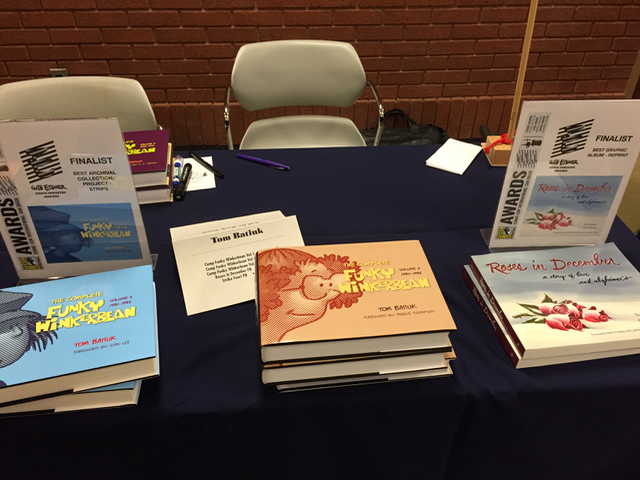 From the organizers to the volunteers, it’s one of the best run book fairs out there. 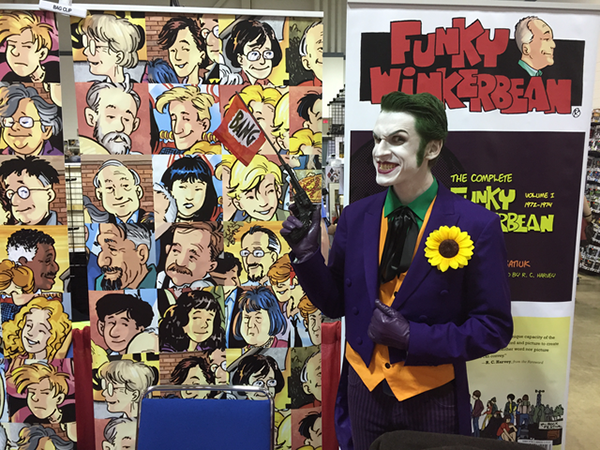 Which is no doubt why it draws the crowds that were there on Saturday stocking up on Christmas gifts galore, Funky Winkerbean and Crankshaft books included. A little culture for Christmas is always thoughtful. 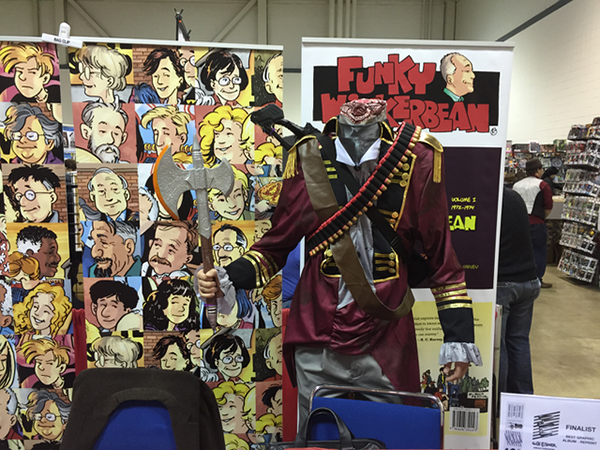 Then on Sunday it was the Akron Comicon which was a slightly different atmosphere to say the least. Just as much fun though for the author/artists and attendees. The best thing about this con is that it’s still about comic books. While there, I picked up a large run of the New York Daily News’ Sunday Comics section from 1947 which is going to make up some fun reading by the fire this winter. There are two remaining signings on the docket with the next one being a signing at the Music Box Supper Club in Cleveland on the evening of November 16th, and the final signing of the year at the Kent State University bookstore on December 1st. Info on the former is on the Events page right now, and the latter will be on the Events page shortly. As always, there’s still time to purchase books on this site and get them to me to be signed in time for Santa’s to deliver them on Christmas day.